The Halloween & Attractions Show opens for business March 19-22, 2020 at the America’s Center in downtown St. Louis. TransWorld’s Halloween & Attraction show is the ONLY industry trade show of its kind in the world. There is no other show that has as many exhibitors and industry related products. For three decades TransWorld’s annual Halloween & Attractions show has created the marketplace for the Haunted House industry. Each year the Industry gathers to network, get new ideas and purchase products. This show is a MUST ATTEND event if you are thinking about opening or currently operate a haunted attraction, corn maze, farm, pumpkin patch, paintball field, family fun center, amusement park, zoo, aquarium, Halloween retail store or anything Halloween-related. We have everything you need to make your Halloween season a success. Each year, the show continues to grow with NEW EXHIBITORS, NEW PRODUCTS and more buyers on the show floor. The Halloween & Attractions Show combines the products and knowledge of hundreds of exhibitors that you need to see this March! RETURNING IN 2020! TransWorld's Christmas Show will be co-located with the Halloween & Attractions Show for one low price! That's right - one entry fee for BOTH shows! For more information about the Christmas Show, visit TWChristmasShow.com! The Halloween & Attractions Show also features Escape Room City, a segment of the show that caters to the room escape, virtual reality and adventure game industries. Whether you own/operate a successful escape room, are considering exploring this booming industry or thinking about adding an escape room attraction to your haunted house or event, Escape Room City's vendors and seminars will appeal to both seasoned owners, novices and all those in between. 1 drink ticket at either bar in Architectural Hall for beer, wine, cocktails, shots and non-alcoholic beverages. Drink tickets will be included until 5pm CST March 21st. All tickets purchased after this time will not include a drink ticket. 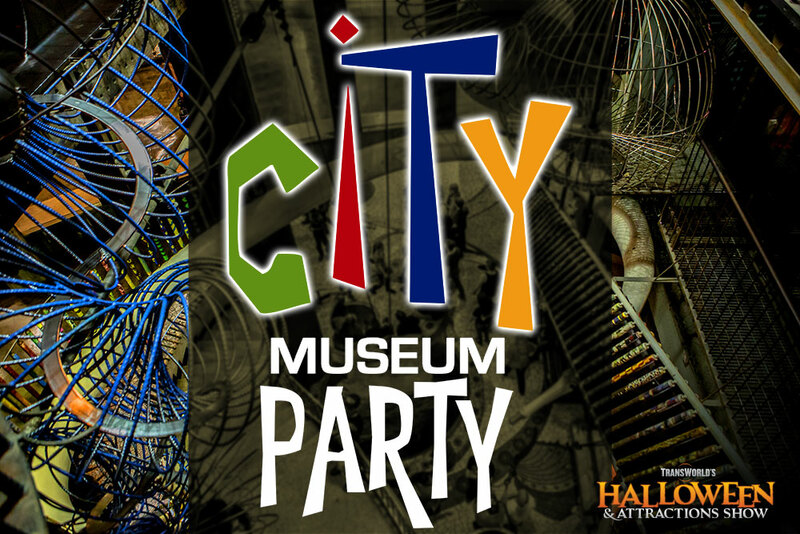 Please note that the Early Bird Pre-Show Discounts for City Museum of $40 per person will end on Monday, March 18th at midnight CDT. Online registration will remain open after that date at the full onsite show pricing of $45 per person. No exceptions on pricing can be made after the cutoff date so please purchase your tickets in plenty of time before the cut off date. TRANSWORLD DOES NOT SELL YOUR INFORMATION. PERIOD. It has come to our attention that our exhibitors and attendees have been receiving bogus emails offering to sell lists of TransWorld’s exhibitors and attendees. These are 100% fake. TransWorld does not sell this information to anybody – these parasitic scam companies cobble together information from past shows, websites and other publicly-available information, then try to pass it off as something legitimate. It’s not. Similarly, TransWorld works directly with area hotels for our room rates each year – if you receive an email from any company claiming to be working on our behalf to book rooms for you, it’s a scam. Any email you receive regarding the Halloween & Attractions Show (or any other TransWorld show or tour) that doesn’t come directly from TransWorld or Heritage Convention Services is likely fraudulent, and should be treated accordingly. Get Ready for a Party that’s Out of This World… Club Eternity! New for 2018, TransWorld is excited to announce the party of the year! On Friday night, March 23rd, come celebrate our 10th year in St. Louis and be prepared to enter The Great Beyond. 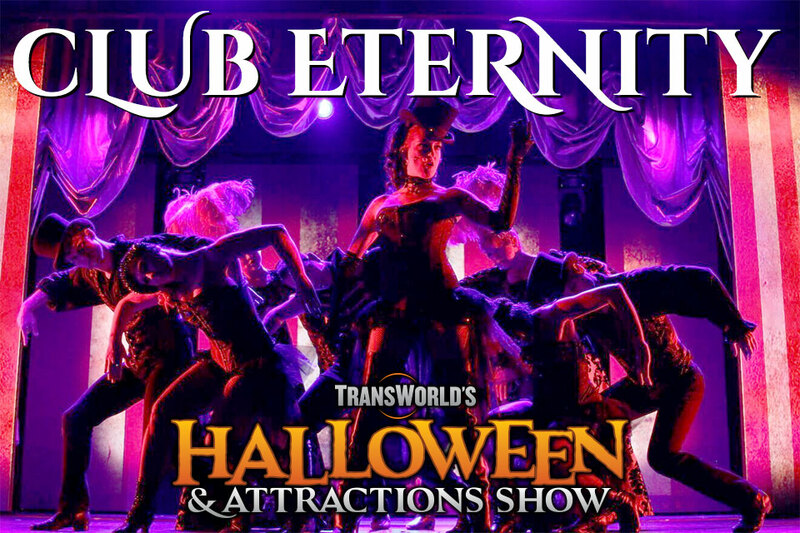 Walk into the Afterlife and accept your immortality at Club Eternity! Our everlasting, multi-tiered cabaret entices you to feel nirvana dancing in Heaven, kill some time in Purgatory or commiserate with the wicked in Hell. Leave your earthly pleasures at the door as divinely devilish entertainment surrounds you. Welcome to the Hereafter. Welcome to Club Eternity! DJ and live entertainment throughout the night! Club Eternity will take place from 8:00 – 1:00 am (food is served between 8:00 pm – 10:00 pm) at Paddy O’s, 618 South 7th St., just a 1 mile walk from the Convention Center. Free parking available. For menu info, details and tickets, click HERE! Developed by RWS Entertainment Group, S4 Lighting and Keen Designs. "If you are a serious haunt owner or operator, you cannot afford to miss TransWorld. 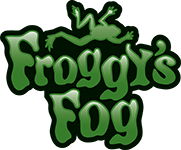 It has everything you could possibly need to start up and run a major haunted attraction; from insurance agents and ticketing systems to large scale props, costumes and masks. I’ve attended every year since 1995 and it keeps getting bigger and better"